Hearsay on the Green, our second location which opened in 2014, continues the Hearsay tradition with historical brick interior walls, a sweeping chandelier and modern industrial light fixtures throughout. Its menu includes both Hearsay staples and dishes uniquely crafted for our downtown patrons. When this Manhattan man made his way to Houston he came with the willingness to take risks and chances. He has dedicated 15 years to the restaurant industry. As Adam moved up within the Hearsay brand, the opportunity of growth was given. He shines as a leader and conducts with preciseness. 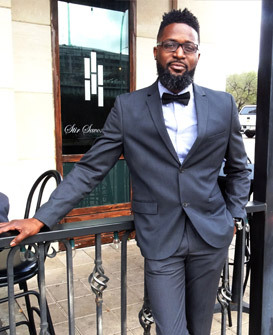 When attending a surrounding conventions, Houston Rockets or Astros games, be sure to make your way to Hearsay on the Green and don’t hesitate to introduce yourself if you see him behind the bar or assisting our staff and guests. As our General Manager, Adam will take Hearsay on the Green’s level of service and hospitality to the next level. Discover beauty in every bite at Hearsay, where your dining experience is as distinctive as our landmark location.